Hand dancing is one of the favorite activities of Berdetta and George, who have been married for 16 years. At any number of community meetings and events in the northwest area, the tall gregarious photographer with multiple cameras around his neck setting up for video for his Facebook page or the Northwest Voice is George White. His just-as-pleasant wife, friend and soulmate is Berdetta, also known as Bert. A fun, busy couple, the Whites are active in their church, community and Primerica business. 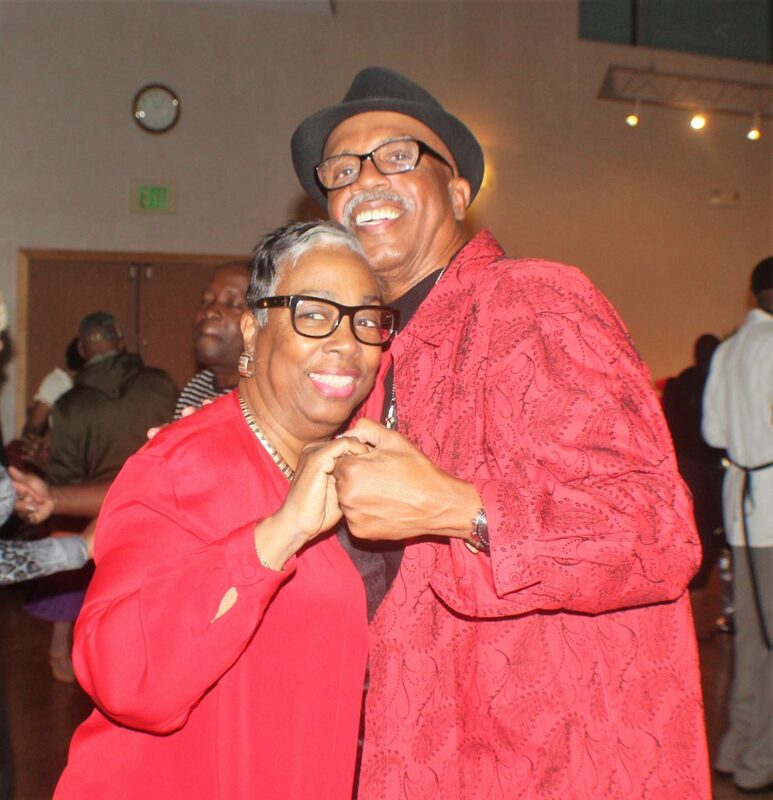 This year, they celebrate 19 years together and 16 years of marriage that began in 2000, when they connected on the popular dating site at the time, Black Singles. In her profile, Bert described herself as a “winner,” God-centered and who loved to dance and travel. George’s profile description was “peer to peer” and he looking for someone who was fun to be around. They both were in search of intellectual banter. After exchanging emails and phone numbers, the two arranged to meet at the City-Poly football game at Ravens Stadium. After more dates, spontaneous get-togethers and long conversations that sometimes lasted until the wee hours of the morning, the two were convinced they were deeply compatible and good for a committed relationship. Two years later, George proposed to Bert on his 50th birthday, so the occasion would be memorable. The engagement ring came on Valentine’s Day the following year, and they married in August 2003. Bert recalls the wedding as one of the best days of her life. More than 250 invited guests gathered at Westminster Hall in Baltimore. The day was made more special with a black and white theme. They planned the details together, designed their own invitations and created the program. Instead of usual toasters and place mats, guests donated to their 11-night Caribbean cruise. Bert likes quiet time, loves to read two books a week and gets immersed in details. George, 67, describes himself as a “no nonsense” person who just needs the big picture with the facts and loves the outdoors. Together, they have three children and three grandchildren. They attribute their loving, drama free relationship to the fact that they met when they were older. Bert, 70, knows they can clear the air by cooking one of George’s favorites, potatoes with gravy, or taking a leisurely drive for ice cream. “Our home is our sanctuary,” she says. But as much as they may be considered opposites, they are equally yoked in their faith, family and activities. Both retired teachers, they love to hand-dance, pop their own popcorn and watch a movie on Friday date nights (everyone knows there will be no babysitting and surprise visits on that day). Both are elders at Lochearn Presbyterian Church, George is the treasurer, and both are into community service. They thrive on helping people in need. Spontaneity also helps, such as when George packed her a bag, picked Bert up from work, and drove to Atlanta for the weekend to visit a girlfriend, escaping to the mountains in Pennsylvania, or leaving a military ball at the Armory in the city still dressed in their tuxedo and gown to get a drink at a Fells Point bar. They also distribute an email prayer Monday through Friday called Prayer Warriors, which began 10 years ago with eight people and has grown to more than 1,000 people. On Sundays, they send Facebook friends the Married Couples prayer. Over the years, both have had robust careers. Bert taught elementary school in Baltimore City, online master’s program at Coppin State College and classes Johns Hopkins University; George taught computer classes. At Fortis School in Woodlawn, Bert taught psychology and English and George technology in classrooms next door to each other. Bert occasionally substitute-teaches at Sudbrook Middle School, a short walk from their Pikesville home. 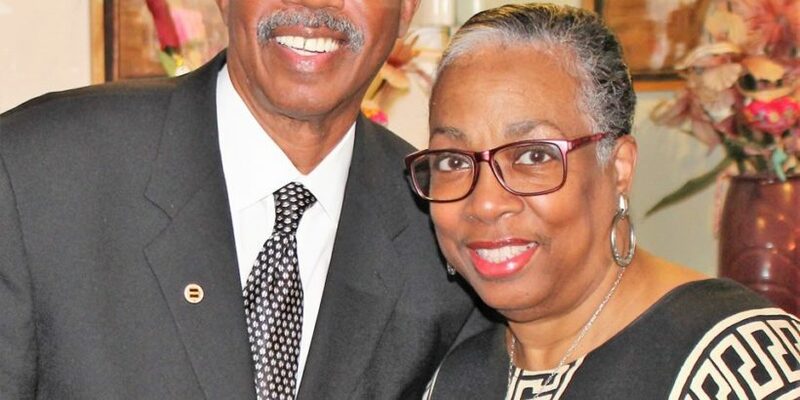 Well known in local community and political circles as a dependable, committed volunteer, George was appointed last year as an associate member of the Baltimore County Democratic Central Committee for District 44B. A 22-year veteran of the Air Force and Army National Guard, he supports veterans’ causes. Every day, George picks up end-of-day bread from the Owings Mills Panera Bread and delivers it to homeless shelters, such as the Westside Shelter in Catonsville for men. Both he and Bert lead a ministry, Connecting the Dots, that links people to needed services. Both have a life insurance license and Bert also has licenses for investments, long-term health care and cosmetology. Both enjoy learning. They took a genealogy class together last month, and plan to take a grant writing class. What advice would you give to couples? George: When you go somewhere with your spouse, always introduce your wife first. If you’re going out, ask if she wants to go. Let her say no. We know what irritates each other and how to make each other happy after a bad day. Call home a couple times a day to check. What do you do to keep the flame burning? Bert: We will dance at home, using a CD from our wedding, from Whitney Houston to Elkton John. Some of the songs are “We’re going all the way,” “On the wings of love” and “We both deserve each other’s love” by Jeffrey Osborne. George: We keep each other in the loop of different things of what’s going on. We pray together daily. That locks that bond in before I got out the door. How do you handle arguments? Bert: We don’t have arguments. We might disagree. The issue is does it matter. If it doesn’t move on. If I’m upset, we talk about it, and resolve it. That’s it. George: It’s just as easy to say I’m sorry than to hold on to stuff. 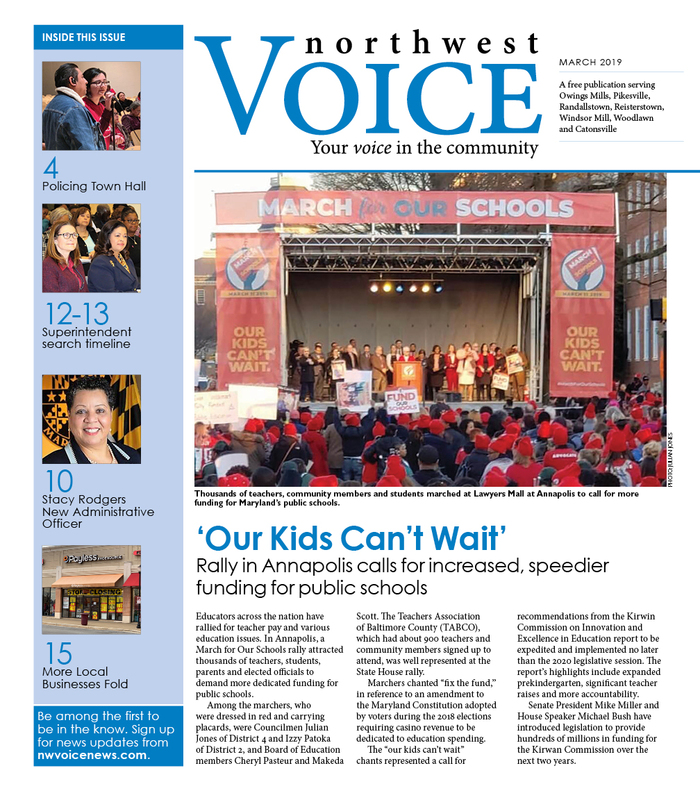 « How Will New School Board Tackle Superindent Search, Other Issues?